This Modern Dance I/Movement Vocabulary DVD is designed for the beginner with little or no dance experience. 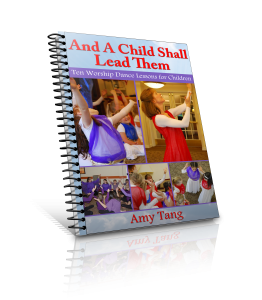 Professionally edited, this is great for the worshipper who wants some basic body movement ideas learned through modern/contemporary dance. 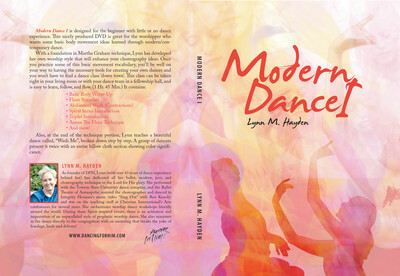 With a foundation in Martha Graham technique, Lynn, with over 47 years dance experience, has developed her own worship style that will enhance your choreography ideas. Once you practice some of this basic movement vocabulary, you’ll be well on your way to having the necessary tools for creating your own dances! You won’t have to try and find an adult modern dance class in your city. This class can be taken right in your living room or with your dance team in a fellowship hall, and is easy to learn, follow, and flow. The second part of the DVD includes a beautiful worship dance done to a song called, Wash Me. This song may be found on the Parable of the Dancer CD, also in the book store (see the suggestions below). This dance, of course, may be modified to any number of worshippers, includes the creative use of billow cloths, and is fairly easy to do. The steps are broken down with “from the back” teaching for easy learning. The whole dance is shown twice. The billow cloths chosen have scriptural, corresponding color significance. I encourage you to get the Processionals, Props and Pageantry book for more in depth study (see below). Be sure to purchase this, you’ll be glad you did!